Toxic algal blooms have been a growing problem in recent years associated with warming waters and nutrient-rich agricultural runoff in lakes, rivers, and oceans. In 2014, an algal bloom in Lake Erie left half a million residents of Toledo, Ohio without safe drinking water for three days. The most common toxic substance released by algal blooms in the lake is called microcystin, which is closely linked to liver cancer and other diseases. Toxicologists measure microcystin and other contaminants using the metric of parts per billion. The EPA recommends that young children not drink water containing more than 0.3 parts per billion and adults no more than 1.6 parts per billion of microcystin. Scientists at the University of Toledo have been working on developing a biofilter that uses naturally occurring Lake Erie bacteria to remove microcystin released by algal blooms and thereby reduce or eliminate the use of chlorine and other chemicals. They have successfully isolated a number of types of bacteria that degrade microcystin toxin at a daily rate of up to 19 parts per billion. To their knowledge, such bacteria have not been previously used to fight algal blooms in other parts of the world. 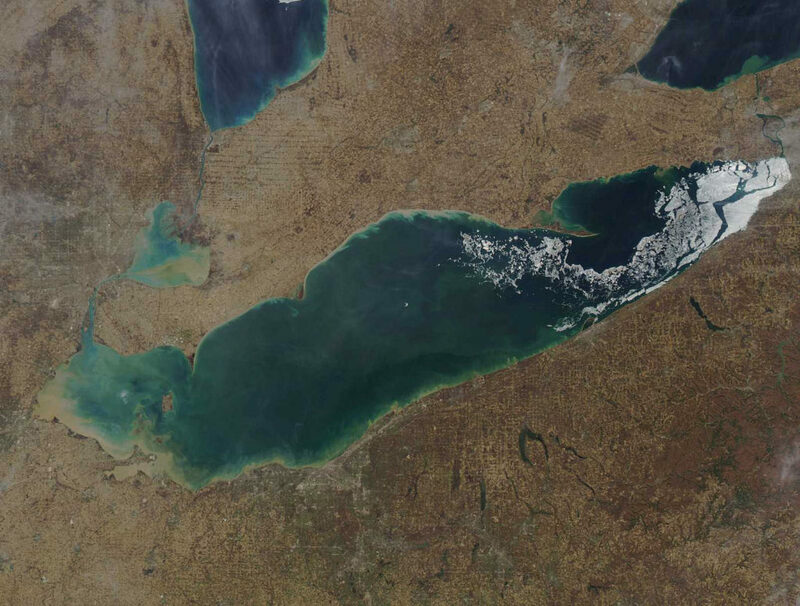 Based on the recorded toxin levels in Lake Erie in recent years, the bacteria would be able to effectively remove microcystin from water supplies. None of the 13 bacterial isolates they found have any association with human disease so their use in future water-purifying biofilters should not pose a public health concern. The researchers are now developing and testing biofilters, which are water filters containing the specialized bacteria that will degrade the toxins from lake water as it flows through the filter. Photo, posted April 30, 2014, courtesy of NOAA via Flickr.